Red Delicious. Green. Fuji. Gala. Regardless of your favorite, apples symbolize a healthy diet. 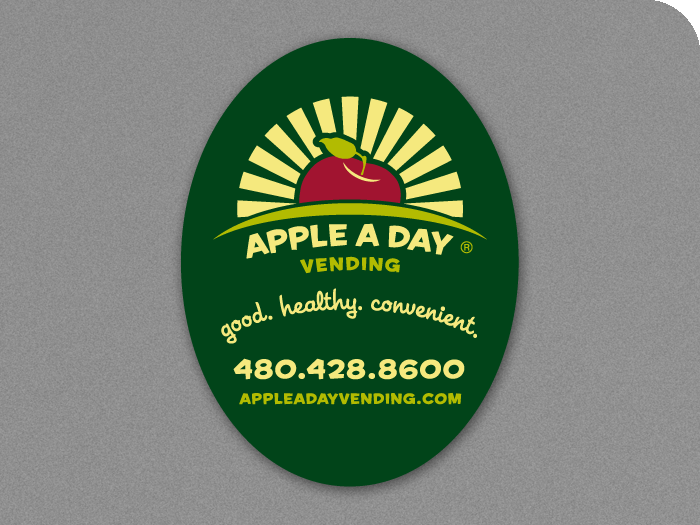 All apple varieties (and colors) were considered when designing this logo for Apple A Day Vending — a start-up company in Chandler, Arizona. Their business model is based on vending machines placed in key locations, that carry good, healthy and convenient foods. 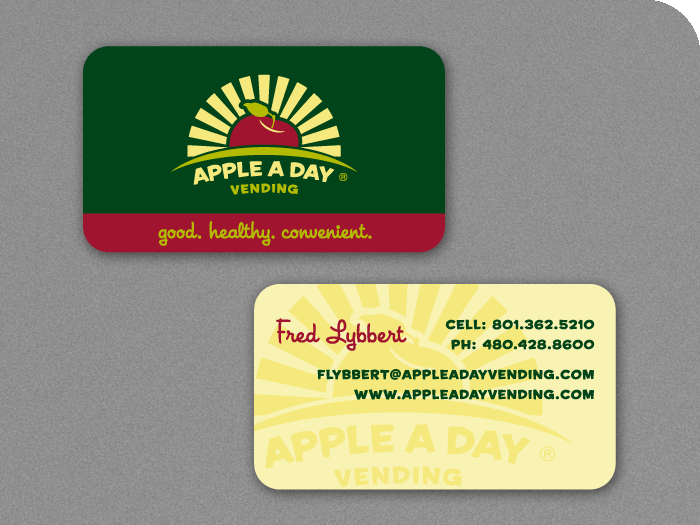 Two-sided business card with rounded corners designed with a robust palette inspired by apple orchards.